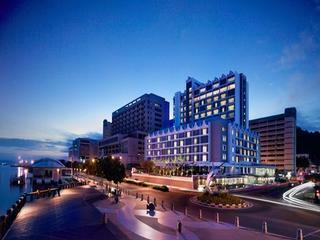 Hyatt Regncy Kinabalu | Borneo Trails Tours & Travel, Sabah, Malaysian Borneo. 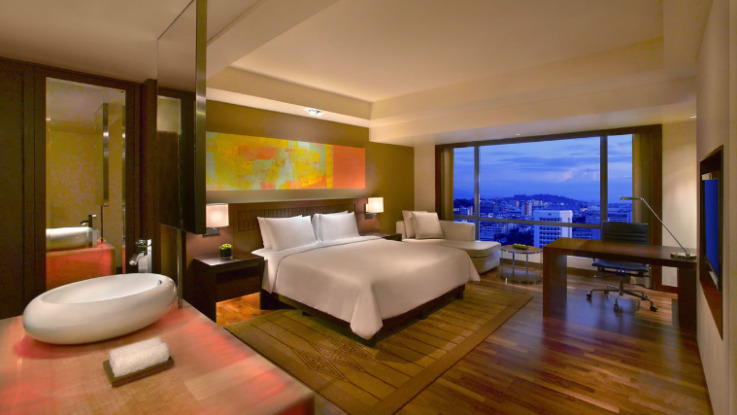 Hyatt Regency Kinabalu hotel provides a wide range of services guaranteed to satisfy the needs of the most discerning guests at our five-star Kota Kinabalu hotel. Dine at our newly renovated hotel restaurant Kota Kinabalu, Tanjung Ria Kitchen or unwind for the day at the Poolside Bar for sunset. This Kota Kinabalu hotel features conveniences such as the Business Centre where seamless, professional services provide executive travellers with an office away from the office, photo processing, and a tour desk. 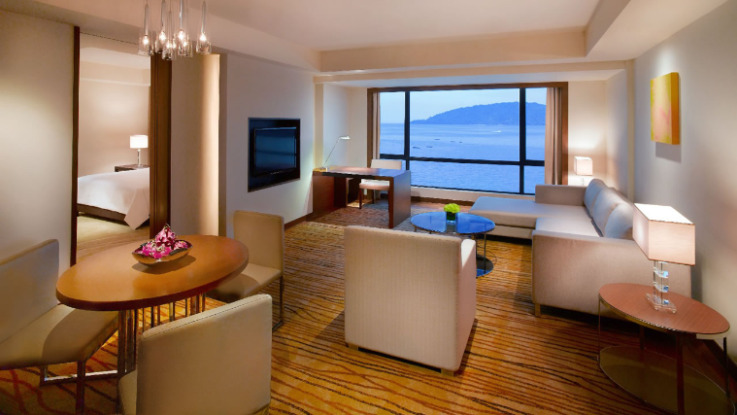 Unwind in one of our 288 Sabah hotel rooms, all exquisitely designed with sophisticated comfort in mind plus some of the best views in Kota Kinabalu including those of the sparkling South China Sea or the Kinabalu city surroundings. Elegant decor featuring regional artworks complements deluxe amenities. Spectacular ocean or city views complement lavish amenities. Magnificent views of Kota Kinabalu or a beautiful atrium with an elegant decor featuring regional artworks complements deluxe amenities. Spectacular views of the South China Sea and islands of the Tunku Abdul Rahman Marine Park with a Soothing decor decorated with regional artwork complements. Embark on a culinary adventure at one of the top Kota Kinabalu hotels in the heart of Kota Kinabalu. An award-winning restaurant delivering authentic Japanese cuisines on its à la carte menu of the freshest seafood and quality ingredients. A cosmopolitan sidewalk café offering varieties of sandwiches and salads to go, Belgian Waffles and homemade ice creams. Relax at the newly renovated Poolside Bar, the perfect downtown waterfront location overseeing the South China Sea.